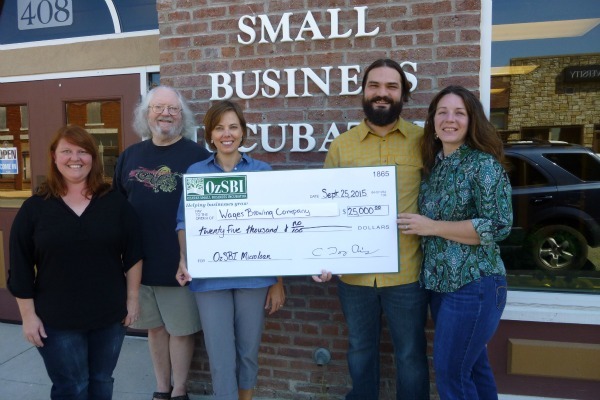 OzSBI manages two microloan programs. One microloan program is for entrepreneurs and business owners who need capital to start, operate or expand a business. The other program, Jobs Through Education, is for individuals wanting to pursue vocational training to further their career. To learn more about either of these programs contact OzSBI. Loans may be made for a minimum of $2,500 and a maximum of $25,000. Maximum term of the loan is 10 years. Loans are only available to provide up to a maximum of 80% of the total project cost. All loans are made at an annual interest rate of 4.5%, (rates are subject to change). The OzSBI Microloan Program is another benefit OzSBI provides to help businesses grow. Jobs Through Education provides low-interest loans for tuition to individuals furthering their education via vocational and technical training in order to remain in our region. Applicants must live and attend school in Douglas, Howell, Oregon, Ozark, Shannon, Texas or Wright counties. Loan amounts will be made only for the cost of educational training. Loans are paid directly to the educational institution providing the vocational or technical education program. Loan payments begin no later than 45 days after completion of the course. Downtown West Plains, Inc. provides revolving low interest loans for tuition to individuals furthering their education via vocational and technical training. All applications are reviewed by a volunteer Board of Directors. Please allow at least 2 to 4 weeks for processing your application.